Home > 2003 > Authors > Bible Study > End times > Lynnford Beachy > March 03 > Martin Bledsoe > Newsletters > Prophecy > Wars and Rumors of Wars: Is it the End? Today the air is filled with rumors of wars. Everyone is talking about the possible conflict with Iraq, and the increasingly volatile relations with North Korea. Some think that a war with Iraq is inevitable; others feel that negotiations can resolve the differences. One thing is certain, if there is a war there will be many lives lost, and it will lead to higher tensions between the world’s Muslim community and the United States of America. 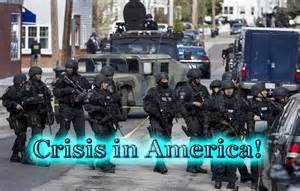 This will, in return, raise the threat of terrorism to a level not before seen in this nation. Many are preparing for this possibility by stocking up on food and other goods. The stores are selling out of duct tape and window plastic, as people attempt to isolate their homes from a potential attack that may involve biological and chemical weapons. Many are wondering if this is indeed the beginning of the end. Is it? Is a world in conflict the last sign given before the return of Jesus Christ? What does the Bible say about all of these things? These are just some of the questions we would like to examine today. Are Wars an Identifying Sign of the End? Jesus tells us not to let wars and rumors of wars alarm us, because these things must occur. Our hope for peace is not in this world. Jesus has warned us that we will have tribulations in this world, and if we are true to Him we cannot escape that. (2 Timothy 3:12) But what Jesus has promised us is peace within, peace in our hearts knowing that we have been reconciled to God, and that if we lose our life in war or conflict, or by some dreaded disease, there is a resurrection; a blessed hope for those who overcome this world. What is the Sign of the End? If war is not the sign that the end is here, then what is? What should we look for? The Thessalonians were anxious; someone had led them to believe that the second coming of Christ was at hand. There may have been a war, or some “sign” in the heavens, or some misinterpreted prophecy, that had led some to believe the end was near. Paul wrote to these Christians and admonished them not to be “soon shaken in mind, or be troubled, neither by spirit, nor by word, nor by letter as from us, as that the day of Christ is at hand.” (2 Thessalonians 2:2) Paul told them not to be troubled, because the end was not yet here. Paul had already warned them what had to take place before Jesus would come. Do you think “conflict” was a sign that Paul warned them of? NO, just the opposite! It is through this person that Paul recognizes as “the son of perdition” that the false hope of peace comes. This person will disregard the clear teachings of the Word of God, and preach a man-made utopia here on earth. The way to this “universal peace” is through the destruction of those who oppose him and will not submit to his government. It is the rule of this person that is ended by the coming of Jesus Christ. Who is it that will cause those who oppose him to be put to death? Who exalts himself above all that is called God? Who is this person that the Bible teaches the world will turn to in search of peace? It is not Jesus Christ, but rather it is the anti-Christ. Daniel chapter seven describes this person as the “little horn.” It is the little horn that Daniel says persecutes the children of God, who speaks against the true God and reigns until the judgment. Daniel then tells us that from the midst of these 10 kingdoms a little horn will rise and will pluck up three of the original 10 horns. (Daniel 7:8) We know the entity that is called the “little horn”’ came after the division and we know that 7 of these 10 nations still exist today. So if we find what destroyed the missing three, we will know who the “little horn”’ is. The three kingdoms that are missing are the three that opposed the Trinity doctrine, which is the foundation of the Orthodox Catholic faith. These three nations rejected the official religion of the empire and they were therefore annihilated for it. The Herulis (493 AD), the Vandals (534 AD) and the Ostrogoths (538 AD) were all “plucked up” for their rejection of the Pope. With the fall of the Ostrogoths, in 538 AD, the Roman Catholic institution was left free to exercise civil power over her subjects. Did the Church of Rome rule for “A time and times and dividing [a half] of time”? Yes it did! First, let’s establish what is meant by this phrase. Here a time means a “year.” So a year plus two years (times) plus a divided year (a half) is 3 ½ years. (See John Gill’s Commentary on Daniel 7:25.) This is the same period given by John in Revelation 12:6, 14, & 13:5. So, 3 1/2 years, or 42 months, which is 1260 prophetic days, is the time period. So if we remember that in symbolic prophecy God has “appointed thee each day for a year” (Ezekiel 4:6), we can clearly see that Papal Rome was given its civil power for 1260 years. If we begin to count from the time that the Church of Rome gained full control, with the destruction of the Ostrogoths in 538 AD, and add 1260 years, we come to the year 1798. 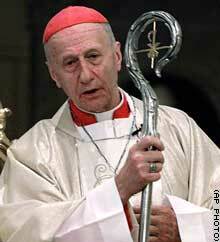 Was civil authority removed from the papal seat at this time? Yes! On February 10th, 1798, the French general, Berthier, took Pope Pius VI captive, thus, for a time, ending the civil reign of antichrist. Revelation declares, “He that leadeth into captivity shall go into captivity.” This move inflicted the deadly head wound of Revelation 13:3. 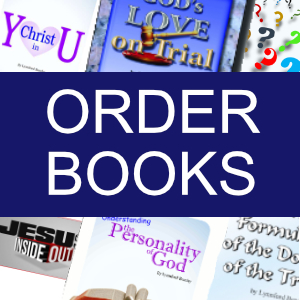 During this 1260-year period, were the true followers of God persecuted as prophesied by Daniel? The conservative estimates are that the Roman Catholic Church killed around 50 million people, but some reckon that it is closer to 150 million. Who, with any knowledge of the persecutions of the Waldenses, the ravages of the Duke of Alva, the fires of Smithfield, the tortures of Goa, the crusades, the massacres, and the inquisitions could doubt that Papal Rome made war with the saints and prevailed against them? Does the Roman Church “speak against,” or blaspheme the Most High? One of the clearest forms of blaspheme is for a man to pretend to be God. Does the Pope claim god-hood? It is almost as if Pope Nicholas I was quoting 2 Thessalonians 2:4, and applying it to himself! There are dozens of historic quotes that show that the papacy thinks that it holds the place of God Almighty on earth. But the above will suffice for now. Now we ask, Does the Church of Rome think to change “times and laws”? Which law would this be referring to? Of course, the law of the Most High; it is no strange thing to change the laws of man. So, does the Church of Rome claim to be able to change the law of God? Especially the fourth commandment that deals with time? 2. The little horn made war with the saints, and prevailed against them. Daniel 7:21. This beast also (Revelation 13:7) makes war with the saints, and overcomes them. 4. The little horn arose on the cessation of the pagan form of the Roman Empire. The beast of Revelation 13:2 arises at the same time; for the dragon, pagan Rome, gives him his power, his seat, and great authority. The San Francisco Chronicle headline almost quoted the very words of John. The agreement signed 74 years ago by Benito Mussolini and Cardinal Gaspari, on behalf of the King Victor Emmanuel III and Pope Pius XI, restored the full diplomatic and political power of the Holy See of Rome. And today, all the world indeed “wonders” at the revived power of the Roman Catholic Church, the epitome of church and state combined and a major player in global politics. Pope Pius XI commented on the concordat, and his restored power, in the first ten paragraphs of his encyclical “Quinquagesimo Ante,” which is available online at: http://www.ewtn.com/library/encyc/p11quinq.htm. Recently another news article appeared echoing the same sentiments. Every attempt by man at world peace has failed. NATO was created for this very purpose and it couldn’t bring peace. The United Nations was formed; and still today there is no peace. The only way there can be peace is if God reigns and, to the Church of Rome, the pope is God in the flesh. Where are the nations beginning to look for peace? They are looking more and more to one man. The international community is beginning to look for the guidance and influence of the pope to settle political problems. This is especially noteworthy coming from Iraq, which is primarily a Muslim country, since Muslims, in general, dislike Christians. This did not seem to stop Aziz in his quest for peace. He said, “‘The Holy Father and Vatican and the believers in God, Muslims and Christians, are trying their best to stop this aggression,… We have to discuss how to continue the work in that direction and mobilise [sic] all the forces of good against the forces of evil.” (Ibid.) The Muslim world seems willing to unite with the pope in order to work together to achieve peace. The pope has been given a seat within the United Nations, and has repeatedly addressed the leaders of the nations. He has a great deal of influence at the UN, considering the Vatican’s official “‘non-member state’ permanent observer” status. (For an explanation of this status, see www.population-security.org/crlp-94-07.htm.) The pope has continually been in favor of international laws and treatises that work to pull the world under one universal government. Truly, the world is wondering after the beast whose deadly wound has been healed. Please do not think that the government of the United States is immune from this. 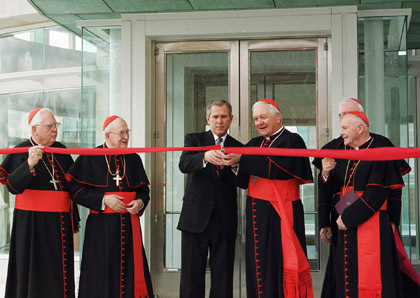 About two years ago President Bush and seven Catholic cardinals presided over the grand opening of the Pope John Paul II Cultural Center in Washington. Here is an excerpt from an article on this event, reported by the Catholic News Service. When the nations agree to give their power to the beast (Revelation 17:17) in hopes of world peace, how will the papacy deal with those who will not submit? The Bible says concerning this beast power, “By peace [he] shall destroy many.” (Daniel 8:25) It has long been the doctrine of Rome, that the only true remedy for those who are “evil” (Rome defines ‘evil persons’ as heretics, who do not accept papal rule and doctrines) is death. The stated position of the Catholic Church, as decreed by her popes, is that anyone who does not believe what the Roman Catholic Church teaches is a heretic and should be put to death. Whenever the Roman Catholic Church has had the power to carry out this policy, she has done so unmercifully. The Roman Catholic Church has not changed her policy in regard to heretics. All that has changed is that she no longer has the civil power to enforce her policies. If she is given the power again, you can be sure she will exercise it to the full extent of her power.